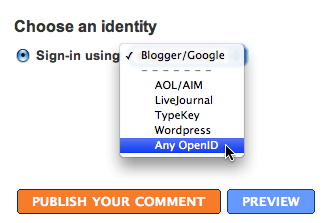 Blogger Beta offers OpenID; or, I am mine. Dave Recordon (and many, many, many others)points out that the Blogger Beta has added support for accepting OpenID for comments. This is a watershed moment in terms of OpenID’s brief history as it seems to represent a change in the perception and utility of the protocol by a very significant potential proponent. Now, don’t think me getting wistful here. OpenID is far from perfect (as Marshall Kirkpatrick has pointed out). But, with Internet Identity Workshop coming next week, we have a great opportunity to discuss the necessary improvements that need to happen around user experience, around security, around finalization of the protocol and around thinking through what possibilities a more “citizen centric web” might bring. 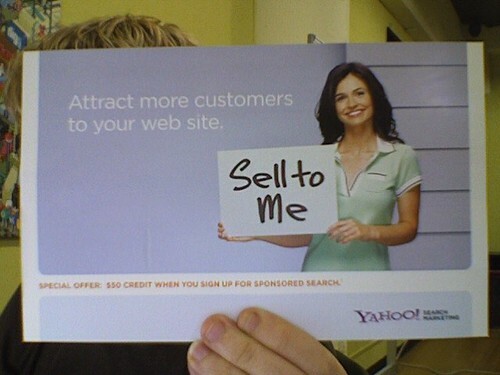 Author Chris MessinaPosted on Nov 30th Categories Citizen-centric Web, Digital Identity, Life online, TechnologyTags blogger, google, openid1 Comment on Blogger Beta offers OpenID; or, I am mine.